Indian military can punish troops for extra-marital relations even without law that made adultery a crime. New Delhi: The Supreme Court’s decision Thursday to strike down the law that made adultery a criminal offence has raised questions about its impact on the Indian military, where extra-marital relations are a crime. In the Indian Army, for instance, adultery is described using the military euphemism “stealing the affection of a brother officer’s wife”. The situation is similar in the Air Force and the Navy too. Offences of this nature were punishable with a court martial and five years’ rigorous imprisonment under Section 69 of the Army Act (read with Section 497 of the IPC, as it stood). But now, though military law experts say the Supreme Court decision will prevail, the issue of trust and discipline within the armed forces could lead to the offence being punished under different sections. “The strange and archaic sounding term ‘stealing the affection of a brother officer’s wife’ derives its source of power from Section 497 of the Indian Penal Code and is not a standalone offence, as is popularly believed. Hence, it will now have to yield to the law laid down by the Supreme Court,” Major Navdeep Singh, advocate at the Punjab & Haryana High Court and founding president of the Armed Forces Tribunal Bar Association, told ThePrint. “The use of the term will also not be proper henceforth since the Supreme Court in no uncertain terms has stated that women cannot be treated as chattel, personal possession or property,” he said. Singh pointed out that recently, the Mumbai bench of the Armed Forces Tribunal had reinstated a naval officer dismissed from service on the same grounds, and the reinstatement was upheld by the Supreme Court, saying the punishment was disproportionate. However, Singh added that the military can still initiate action against personnel under Section 45 of the Army Act (unbecoming conduct) or Section 63 (violation of good order and discipline). 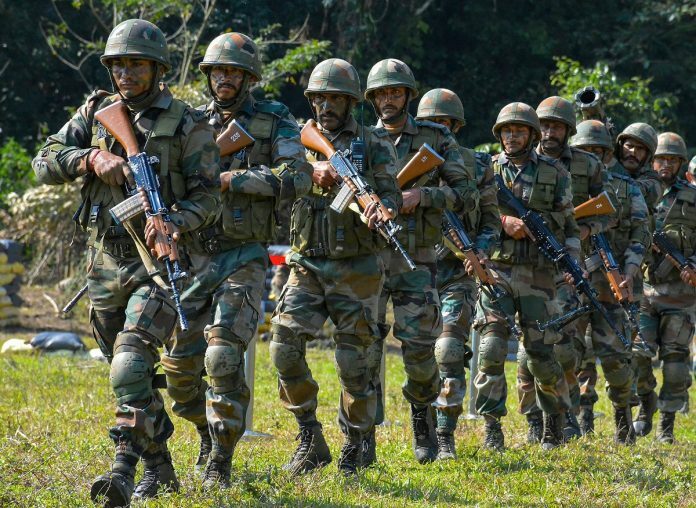 “In case any such behaviour impacts service life or falls in the ambit of Sections 45 or 63 of the Army Act, then it still remains an offence since military ethos remains paramount for maintaining discipline,” he said. Sources in the Army also indicated that extra-marital affairs will continue to be a criminal offence within the military. An Army official, who wished to remain anonymous, said this was required since at the unit level, “the Army is like an extended family”, where officers who come away on leave are supposed to attend to the families of officers on duty. “The armed forces work on trust. Younger officers are encouraged to call on senior officers to develop camaraderie. Many orders are given purely by word of mouth or at times on phone and wireless. This trust needs to be protected,” the official said. Although the military tries hard to keep such cases under wraps, many have become public in the last few years. For example, just about two months ago, an army officer’s wife was murdered allegedly by another army officer, Nikhil Handa. The two were allegedly having an affair while her husband was posted in the Northeast. In 2017, the army ordered a Court of Inquiry after a colonel was found to have relations with the wife of his subordinate in Bathinda. In 2015, a colonel who was commanding an infantry battalion in Jammu & Kashmir had complained that another officer of the same rank from within his battalion had an extra-marital relationship with his wife. A Court of Inquiry was set up in this case too.